Murugesan And P. P. S. Janarthana Raja, JJ. P. P. S. Janarthana Raja, J. – Tax Case (Appeal) Nos. 909 and 940 of 2009 are filed by the assessee under section 260A of the Income-tax Act, 1961, against the order of the Tribunal, “C” Bench, Chennai, dated April 24, 2009, made in I. T. A. Nos. 1507/Mad/2008 and 1505/Mad/2008 respectively. 2 Tax Case (Appeal) No. 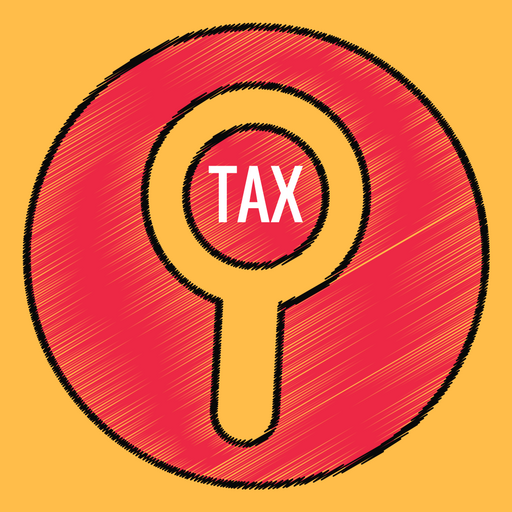 918 of 2008 is filed by the Revenue under section 260A of the Income-tax Act, 1961, against the order of the Tribunal, “B” Bench, Chennai, dated October 31, 2007, made in I. T. A. No. 1077/Mad/ 2007 (since reported in Mohan Breweries and Distilleries Ltd. v. Asst. CIT  311 ITR (AT) 346 (Chennai)). 3. Even though the issue involved in the above tax cases is common, the assessees are different and the facts are also different, hence we are inclined to decide the matter one by one. “(a) Whether, on the facts and in the circumstances of the case, the Tribunal is right in law in holding that the appellant is not entitled to claim deduction under section 80-IA ? (b) Whether, on the facts and in the circumstances of the case, the Tribunal is right in law in holding that initial assessment year in section 80-IA(5) would only mean the year of commencement and not the year of claim ? (c) Whether, on the facts and in the circumstances of the case, the Tribunal is right in law in saying that unabsorbed depreciation of earlier years before the first year of claim, which has already been absorbed, could be notionally carried forward and taken into consideration for computation of deduction under section 80-IA ? (c) Whether, on the facts and in the circumstances of the case, the Tribunal is right in law in saying that unabsorbed depreciation of earlier years before the first year of the claim, which has already been absorbed, could be notionally carried forward and taken into consideration for computation of deduction under section 80-IA ? “1. Whether, on the facts and in the circumstances of the case, the Tribunal was right in not admitting the letter from the Assessing Officer showing that the assessee had exercised the option of claiming the deduction under section 80-IA during the assessment year 1999-2000 which is the first/initial assessment year for the purpose of deduction under section 80-IA, as additional evidence and holding that the assessment year 2004-05 is first/initial assessment year in which the assessee had claimed the deduction under section 80-IA ? 2. Whether on the facts and in the circumstances of the case, the Tribunal was right in holding that carried forward loss and unabsorbed depreciation cannot be set off against the profits of the units and, therefore, the assessee is entitled for deduction under section 80-IA read with section 80AB ? 5. The learned senior counsel appearing for the assessee submitted that the order passed by the Tribunal is contrary to the facts and circumstances of the case. He further contended that the Tribunal is wrong in holding that deduction under section 80-IA has to be computed after deduction of notional brought forward loss and depreciation of eligible business. He further submitted that the Tribunal should have appreciated the language used in section 80-IA(5) prior to amendment and post-amendment and it will be clear that the Act itself differentiates the initial assessment year from the year of commencement. The year of commencement is used only for the purpose of reckoning the total period but in sub-section (5) the words “initial assessment year” are used for treating the undertaking as the only source of income, which clearly indicates that a separate heading is only from the initial assessment year. It is also further contended that the Tribunal failed to appreciate that losses in the years earlier to the first year claim absorbed against the profit of other business need not be notionally brought forward and the same has no effect on the deduction claim. Further, the Tribunal ought to have considered the provision of section 80-IA(5) and the notional fiction created by the said provision. In view of the same, it would be applicable only in the years subsequent to the initial assessment year and the unabsorbed depreciation of windmill division for all years earlier to the initial assessment year, which had already been absorbed against the profit of other business, cannot be notionally brought forward and be considered for computing deduction under section 80-IA of the Act. It is also further submitted that the assessee can exercise their option under section 80-IA(5) during the assessment year. Therefore, in view of the option exercised, the assessee is governed by section 80-IA only for the assessment year 2005-06. Hence, there is no unabsorbed depreciation or loss to set off against the eligible income during the assessment year 2005-06. It is also contended that the fiction in section 80-IA(5), viz., “eligible business were only source of income” is applicable only from the second year of initial assessment year and not previous year of the initial assessment year. The provision is to be applied only during the ten years from the initial assessment year and the fiction does not look back the year before the claim is made. It is also contended that once the unabsorbed depreciation is already set off earlier, the same cannot be notionally brought forward and recomputed against the income of the assessment year. Therefore, during the relevant assessment year, the assessee has got a positive income. In addition to the above, it is contended that section 80-IA is a beneficial or incentive provision. So, it should be liberally construed. He further submitted that there should be a specific provision in the Act to bring forward the unabsorbed depreciation and losses of the earlier year which were already set off against the other income and relied on the proviso to section 72 which specifically revives the loss. 6. In respect of Tax Case No. 918 of 2008, the learned senior counsel appearing for the assessee submitted that the Assessing Officer and the Commissioner of Income-tax (Appeals) held that the assessee claimed the initial assessment year as 2004-05 and the same reached its finality. Further, a chartered accountant also signed in the prescribed format and specifically stated in the form that the initial assessment year claimed by the assessee is 2004-05. Therefore, the Tribunal is correct in holding that the initial assessment year is 2004-05. Hence, the Revenue is not correct in notionally bringing forward the unabsorbed depreciation and loss which has been already set off against the current income. 7. The learned standing counsel appearing for the Revenue submitted that the assessee is not entitled to claim deduction under section 80-IA of the Act. Since the accumulated losses and unabsorbed depreciation were more than the profits of this year, the same had to be set off against the profits and, therefore, the assessee is not entitled for any deduction as per section 80-IA read with section 80AB of the Act. Further, it is contended that the Special Bench of the Tribunal has correctly decided the issue and held that profits from the eligible business for the purpose of determination of the quantum of deduction under section 80-IA have to be computed only after deduction of notionally brought forward losses and depreciation of the eligible business even though they have been set off against other income in earlier years. Therefore, the assessee is not entitled to the relief of claim under section 80-IA of the Act. In addition to that, the learned counsel appearing for the Revenue also submitted that in respect of Tax Case No. 918 of 2008, the Tribunal is not right in holding that the initial assessment year is 2004-05. He further submitted that before the Tribunal, the Revenue filed a letter stating that the assessee had exercised the option of claiming the deduction under section 80-IA during the assessment year 1999-2000, which is the initial assessment year and not the assessment year 2004-05 as held by the Tribunal. Further, the Tribunal ought to have considered the letter given, after affording one more opportunity to the parties before deciding the matter. Without considering the same, the Tribunal simply rejecting the contention of the Revenue in respect of Tax Case No. 918 of 2008 is not correct and this court may remand the matter to the Tribunal to decide the issue afresh in respect of the initial assessment year. 8. Heard the counsel appearing for the parties and perused the materials available on record. 10. Thus, the assessee has been setting off the loss against the income of the company for the earlier years. During the assessment year, the assessee exercised the option claim of deduction under section 80-IA of the Act. But the Assessing Officer denied the exemption on the finding that loss or depreciation already allowed and set off against other sources of the income of the assessee has to be notionally carried forward and set off against the current year’s income from the units for which the assessee is claiming deduction under section 80-IA. There is no dispute that during the year, there is a profit. Therefore, the assessee claimed deduction under section 80-IA and the Revenue has no authority to notionally bring forward the unabsorbed depreciation and loss of the earlier year which has been already set off as against the current year profit from the unit. “80-I. (1) Where the gross total income of an assessee includes any profits and gains derived from an industrial undertaking or a ship or the business of a hotel or the business of repairs to ocean-going vessels or other powered craft, to which this section applies, there shall, in accordance with and subject to the provisions of this section, be allowed, in computing the total income of the assessee, a deduction from such profits and gains of an amount equal to twenty per cent. thereof : . . .
(5) The deduction specified in sub-section (1) shall be allowed in computing the total income in respect of the assessment year relevant to the previous year in which the industrial undertaking begins to manufacture or produce articles or things, or to operate its cold storage plant or plants or the ship is first brought into use or the business of the hotel starts functioning or the company commences work by way of repairs to ocean-going vessels or other powered craft (such assessment year being hereafter in this section referred to as the initial assessment year) and each of the seven assessment years immediately succeeding the initial assessment year : . . .
15. A mere reading of the above provision makes it clear that any income of the nature specified in that section, which is included in the gross total income of the assessee for the purpose of computing the deduction under that section, the amount of income of that nature as computed in accordance with the provision of this Act shall alone be deemed to be the amount of income of that nature which is derived or received by the assessee and which is included in the gross total income. Section 80AB defines “gross total income” which means the total income has to be computed in accordance with the Act before making deduction under this Chapter. Heading “B” deals with “deductions in respect of certain payments” which consists of sections 80C to 80GGC. Heading “C” deals with “deductions in respect of certain incomes”, which consists of sections 80H to 80TT. The last heading “D” deals with “other deductions” which consists of sections 80U to 80V. Heading “C” is relevant for considering the issue in these appeals. The relevant provisions that are to be considered are sections 80-I, 80-IA and 80-IB. In the case of Liberty India v. CIT  317 ITR 218 (SC) ;  225 CTR (SC) 233 ;  28 DTR (SC) 73, the apex court considered the scope of sections 80-I, 80-IA and also section 80-IB of the Act, wherein, it has been held that Chapter VI-A provides for incentives in the form of tax deductions essentially belong to the category of “profit-linked incentives”. Therefore, when section 80-IA/80-IB refers to profits derived from eligible business, it is not the ownership of that business which attracts the incentives. Further, it has been held that sections 80-IB/80-IA are the code by themselves as they contain both substantive as well as procedural provisions. The Supreme Court further observed in the said judgment that sub-section (5) of section 80-IA provides for manner of computation of profits of an eligible business. Accordingly such profits are to be computed as if such eligible business is the only source of income of the assessee. “80-IA. (1) Where the gross total income of an assessee includes any profits and gains derived by an undertaking or an enterprise from any business referred to in sub-section (4) (such business being hereinafter referred to as the eligible business) there shall, in accordance with and subject to the provisions of this section, be allowed in computing the total income of the assessee, a deduction of an amount equal to hundred per cent. of the profits and gains derived from such business for ten consecutive assessment years. (2) The deduction specified in sub-section (1) may, at the option of the assessee, be claimed by him for any ten consecutive assessment years out of fifteen years beginning from the year in which the undertaking or the enterprise develops and begins to operate any infrastructure facility or starts providing telecommunication service or develops an industrial park or develops a special economic zone referred to in clause (iii) of sub-section (4) or generates power or commences transmission or distribution or power or undertakes substantial renovation and modernisation of the existing transmission or distribution lines. (c) it has started or starts operating and maintaining the infrastructure facility on or after the 1st April, 1995. 18. From a reading of the above, it is clear that the eligible business were the only source of income, during the previous year relevant to the initial assessment year and every subsequent assessment years. When the assessee exercises the option, the only losses of the years beginning from initial assessment year alone are to be brought forward and no losses of earlier years which were already set off against the income of the assessee. Looking forward to a period of ten years from the initial assessment is contemplated. It does not allow the Revenue to look backward and find out if there is any loss of earlier years and bring forward notionally even though the same were set off against other income of the assessee and the set off against the current income of the eligible business. Once the set off is taken place in earlier year against the other income of the assessee, the Revenue cannot rework the set off amount and bring it notionally. A fiction created in sub-section does not contemplates to bring set off amount notionally. The fiction is created only for the limited purpose and the same cannot be extended beyond the purpose for which it is created. “Having considered the rival contentions which follow on the line noticed above, we are of the opinion that on finding the fact that there was no carry forward losses of 1983-84, which could be set off against the income of the current assessment year 1984-85, the recomputation of income from the new industrial undertaking by setting off the carry forward of unabsorbed depreciation or depreciation allowance from previous year did not simply arise and on the finding of fact noticed by the Commissioner of Income-tax (Appeals), which has not been disturbed by the Tribunal and challenged before us, there was no error much less any error apparent on the face of the record which could be rectified. That question would have been germane only if there would have been carry forward of unabsorbed depreciation and unabsorbed development rebate or any other unabsorbed losses of the previous year arising out of the priority industry and whether it was required to be set off against the income of the current year. It is not at all required that losses or other deductions which have already been set off against the income of the previous year should be reopened again for computation of current income under section 80-I for the purpose of computing admissible deductions thereunder. In view thereof, we are of the opinion that the Tribunal has not erred in holding that there was no rectification possible under section 80-I in the present case, albeit, for reasons somewhat different from those which prevailed with the Tribunal. There being no carry forward of allowable deductions under the head depreciation or development rebate which needed to be absorbed against the income of the current year and, therefore, recomputation of income for the purpose of computing permissible deduction under section 80-I for the new industrial undertaking was not required in the present case. 20. From a reading of the above, the Rajasthan High Court held that it is not at all required that losses or other deductions which have already been set off against the income of the previous year should be reopened again for computation of current income under section 80-I for the purpose of computing admissible deductions thereunder. We also agree with the same. We see no reason to take a different view. 22. We are not agreeing with the counsel for the Revenue. We are, therefore, of the view that loss in the year earlier to the initial assessment year already absorbed against the profit of other business cannot be notionally brought forward and set off against the profits of the eligible business as no such mandate is provided in section 80-IA(5). 23. Under these circumstances, we set aside the order of the Tribunal and answer all the questions in favour of the appellant/assessee and against the Revenue in Tax Case Nos. 909 and 940 of 2009 respectively. Accordingly, tax cases are allowed. 24. It is filed by the Revenue by raising three questions of law as stated above. In respect of the second question, which is the same as the issue involved in the above tax cases in Tax Case Nos. 909 and 940 of 2009, we also answer in favour of the assessee and against the Revenue. The assessee claimed deduction of Rs. 2,15,59,112 under section 80-IA of the Income-tax Act. The Assessing Officer rejected the claim under section 143(3) read with section 263. Aggrieved by the order, the assessee preferred an appeal before the Commissioner of Income-tax (Appeals) agitating, inter alia, the claim for a deduction under section 80-IA. The Commissioner of Income-tax (Appeals), vide his order in I. T. A. No. 39/2005-06, dated August 4, 2005, in paragraph 12 directed the Assessing Officer to allow the claim under section 80-IA which was accordingly, allowed. In this assessment year also the assessee in the computation memo claimed deduction under section 80-IA of an amount of Rs.1,20,19,495 which was allowed in full by the Assessing Officer in the regular assessment order under section 143(3), dated March 28, 2003. This being the position, the statement of the assessee that the claim under section 80-IA claimed for the first time in the assessment year 2004-05 is totally contrary to the facts as mentioned. This proves that assessment year 2004-05 is not the initial assessment year as claimed by the assessee. ’10. Filing of affidavits.-Where a fact which cannot be borne out by, or is contrary to, the record is alleged, it shall be stated clearly and concisely and supported by a duly sworn affidavit. These facts are contrary to the facts recorded by the Commissioner of Income-tax (Appeals) and the Assessing Officer. It cannot be considered. The above statement made by the Assessing Officer is not in accordance with rules 10 and 29. Hence, we decline to consider the same. 27. From a reading of the above order, it is clear that all the authorities below had given a categorical finding that the first year is 2004-05. The issue also reached finality. The Revenue has accepted the finding given by the Commissioner of Income-tax (Appeals) and, therefore, the same cannot be raised in the assessee’s appeal before the Tribunal. It is a question of fact. It is not a perverse order. We do not find any error or illegality in the order of the Tribunal warranting interference. The order of the Tribunal is in conformity with law. Under these circumstances, we also answer questions Nos. 1 and 3 in favour of the assessee and against the Revenue. The tax case filed by the Revenue is dismissed. 28. In fine, Tax Case (Appeal) Nos. 909 and 940 of 2009, all the questions answered in favour of the assessee and against the Revenue and, hence, these appeals are allowed. 29. Under these circumstances, we confirm the order of the Tribunal and answer all the questions in favour of the assessee and against the Revenue in Tax Case (Appeal) No. 918 of 2008 and dismiss the appeal. This entry was posted in Section 80-IA and tagged 340 ITR, deduction u/s 80IA, In favour of Assessee, Madras High Court.